After information was pulled together by the American Academy of Orthopaedic Surgeons (AAOS), researchers found that Arthroscopic Bankart repair is cost-effective and worthwhile. Ronald P. Donegan, MD, MS, supported the research by saying that the surgery is cost-effective for "first-time, traumatic, anterior shoulder dislocation." The cost of Arthroscopic Bankart repair, the medical term for anterior shoulder dislocation surgery, and the wellbeing of patients after surgery was compared with the effects and cost of physical therapy. Using a system called the Markov model, researchers were able to measure cost-effectiveness and compare cost vs. improved quality of life. To measure these effectively, the following measurements were used: incremental cost effective ratio (ICER) and quality adjusted life year (QALY). According to Dr. Donegan, "A threshold incremental cost-effectiveness ratio (ICER) of less than $100,000 per quality adjusted life year (QALY) gained was set to define a cost-effective treatment modality,” explained Dr. Donegan. Summit Medical Center's orthopedics in Oklahoma City agree with AAOS that, sometimes, physical therapy is a viable alternative to surgery, especially when dealing with older adults who have had more than one traumatic dislocation. 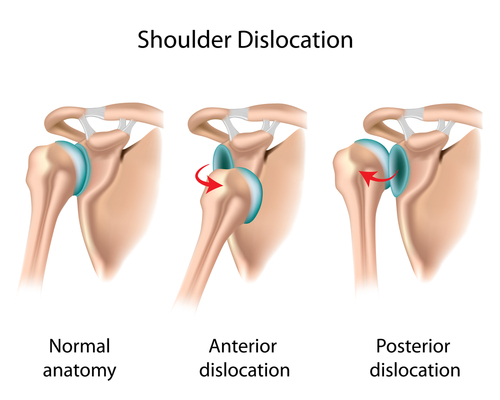 The surgery analyzed during research was specifically anterior shoulder dislocation, not posterior. Compared to other kinds of surgeries, arthroscopic Bankart repair for anterior shoulder dislocation is incredibly high. According to one study published by the Journal of Orthopaedic Surgery and Research that tested 79 shoulders in 74 patients, "34 had excellent post-operative scores, 35 had good scores, 1 had fair score and 3 had poor scores." It's important to note that scores may have been even higher if each patient was having surgery on a first-time dislocation. If you or a loved one needs an orthopaedic center in Oklahoma City, call Summit Medical Center today at 405-359-2400. We hope the information provided here provides the transparency you need to make the best possible decision. If you have any other questions, please contact us. good news for Young Patients who have Shoulder Surgery.! Information Dissection: What is the Thyroid?